With his knowledge, passion and experience, restraining order attorney Sarkis Jacob Babachanian helps people needing to file or defend against domestic violence, civil harassment and workplace violence restraining orders. Los Angeles, San Fernando and throughout Southern California. lying witnesses and false evidence. get treatment, counseling or protection if appropriate. When you need to file or defend against domestic violence, civil harassment and workplace violence restraining orders, look no further. Glendale restraining order attorney Sarkis Jacob Babachanian is here for you. Glendale restraining order lawyer Sarkis Jacob Babachanian — Sark — carefully guides clients in restraining order situations through the court process, always keeping their best interest in mind. When you retain Sark as your restraining order attorney, know he’ll work tirelessly to protect your rights to the fullest extent of the law. Sark explains the restraining order process to help you understand what’s going on around you so you can be part of the team — as is your right. Whether your bringing or defending the restraining order, or just have questions, restraining order attorney Sarkis Jacob Babachanian can help you deal with that dark cloud over your head. Just call him and see for yourself. Restraining orders are important, powerful tools designed to help people intelligently and legally deal with civil harassment, domestic violence, workplace violence and the criminal acts of others. Restraining orders can restrict a person’s civil rights – their speech, movement, employment, residence, gun ownership and association with their own family members and others. 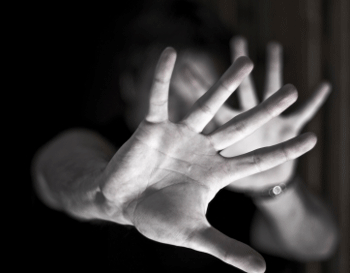 While in many cases restraining orders are necessary to minimize the threat of violence or harassment, some people unfairly try to use the considerable power of the restraining order as a sword, not as a shield like the law intends. Glendale restraining order Sarkis Jacob Babachanian has been helping people work through their restraining order problems for years. If you need help to properly request a restraining order, or to defend against one that you believe will unfairly restrict your important civil rights, contact Sark to talk straight about how to best deal with this unfortunate situation that has come up in your life.